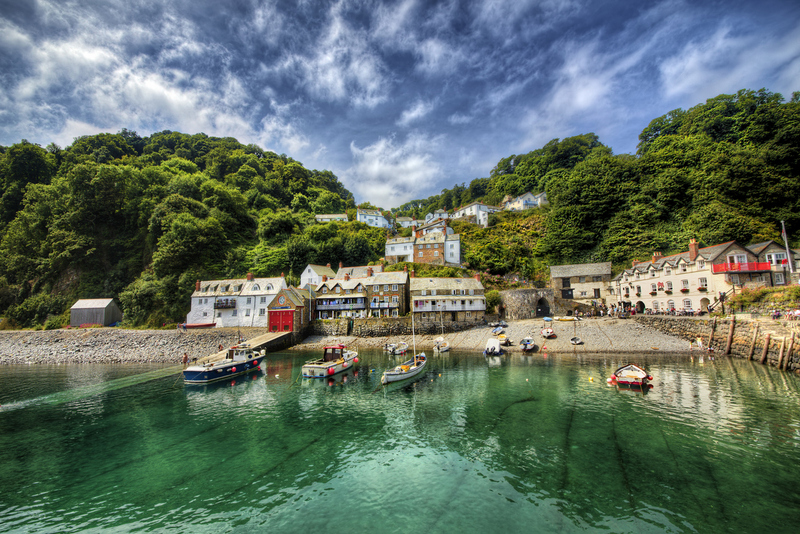 Located in the Southwest of England, Devon County holds in its bosom breathtaking landscapes, impressive coastline, unspoiled medieval villages, and seaside towns. It also boasts never-seen-before fossil cliffs, foodie heavens, modern shopping centers, adrenaline spots, and everything for every traveler’s taste. 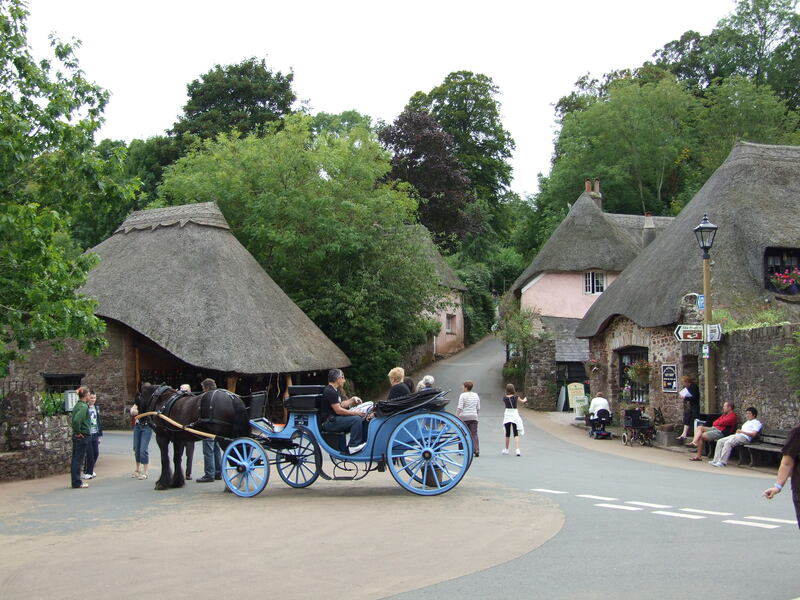 Those who are looking for extraordinary and cozy atmosphere should definitely plan a tour around small towns and villages in Devon. Though the entire Devon area swanks mesmerizing natural beauty and fascinating history, some of its places will leave you spellbound with their character and appearance. We did little homework for you and came out with this list of the prettiest and unique small towns and villages in Devon. Let’s read on to know where you should be on your next holiday in England! 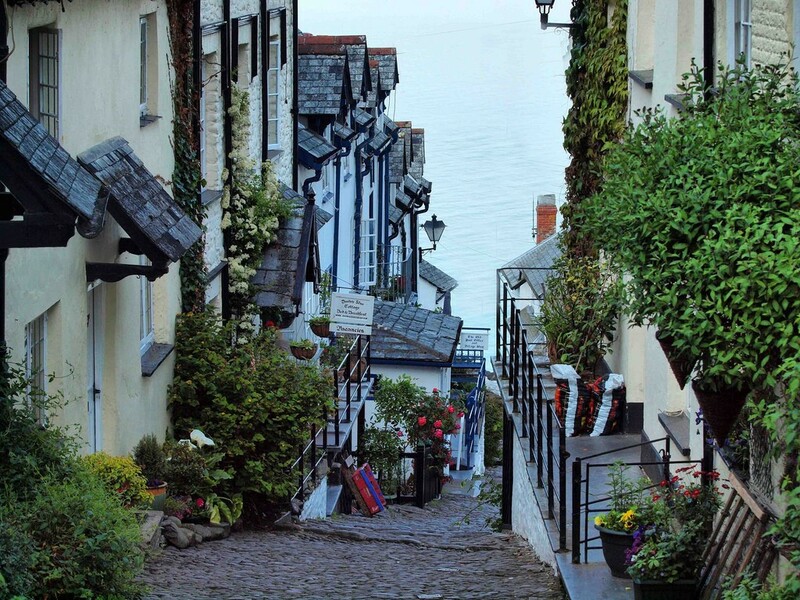 Clovelly, also known as the fishing heaven, is a unique Instagrammable Devon village, a fantastic example of small towns and villages in Devon with a special atmosphere. The place has been privately owned since the time of Queen Elizabeth, which has helped retain its original Victorian atmosphere. The cobbled streets tumble their way past gleaming whitewashed cottages, which are festooned with flowers and cascade down cliffs to meet the curving claw of a historic harbor. If you would like to feel the local authentic atmosphere and history, it is recommended to visit the craft workshops for pottery and silk, two museums – Kingsley Museum & the Fisherman’s Cottage, and a large souvenir shop. Watch a film-show on the village’s history at the Visitor Centre before heading down to the crafty and cobbled streets to explore the village. Don’t forget to visit the Court Garden that is a restored Victorian walled kitchen garden. The garden features magnificent lean-to glasshouses sheltering exotic Mediterranean plants of fruits and veggies. The last, but not least – just walk around and enjoy this magnificent place, with its beautiful architecture and natural attractions. 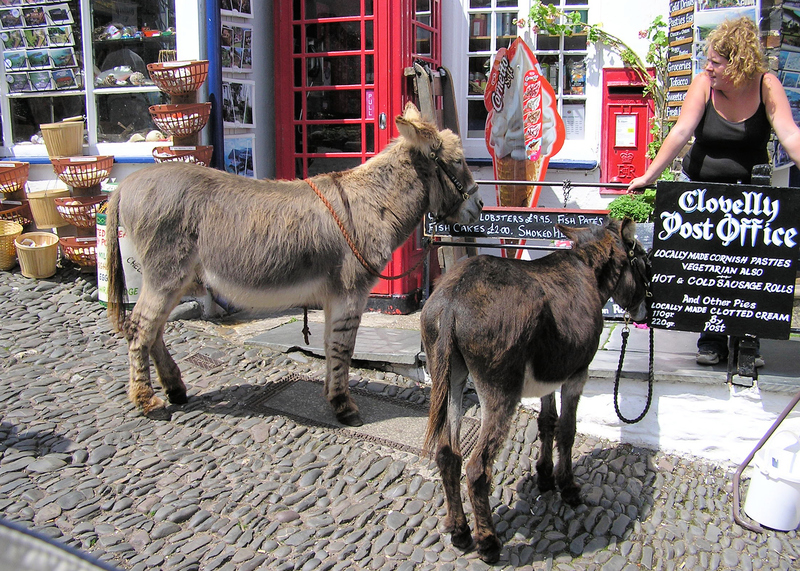 Since Clovelly is a privately-owned village, visitors need to pay an entrance fee. The collected amount is used for Clovelly’s ongoing maintenance. Opening Hours: Open all year except Christmas Day. Entry is FREE on Boxing Day! 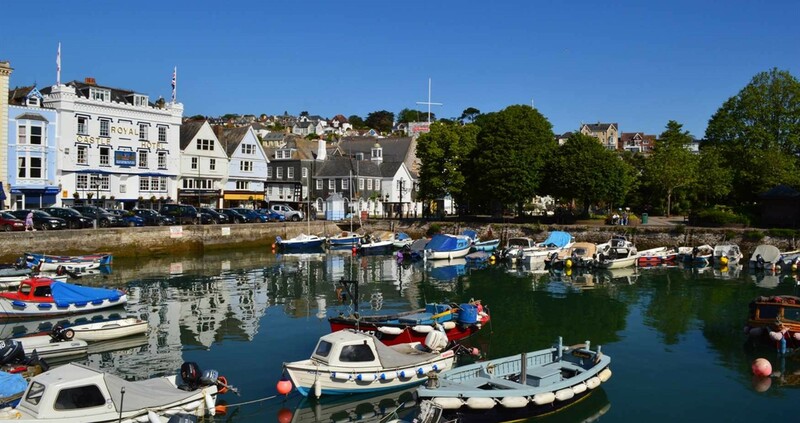 Summer opening time is 9 a.m. to 6 p.m.
Nestled at the estuary of the Torridge River, the charming Appledore village is characterized by colorful houses and winding narrow streets. Both locals and visitors like to wander on foot through its historic streets, traditional fishing cottages, independent shops, Maritime Museum. You can also have jaw-dropping cuisines and throw parties at Appledore’s fine clubs, cafes, and restaurants. 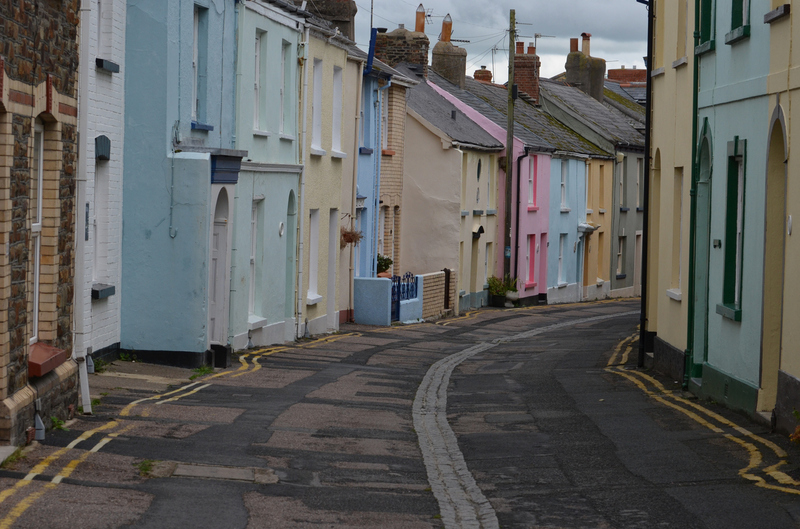 If you consider yourself to be the literature and book lover, you should attend the Appledore Book Festival. This world-famous festival features activities and books from a wide range of acclaimed international authors. The festival draws tourists from all over the world who are keen on book reading. The next festival will run from 21st until 29th of September 2018. Lovers of active holidays will be able to enjoy an unforgettable family time at Instow Regata! 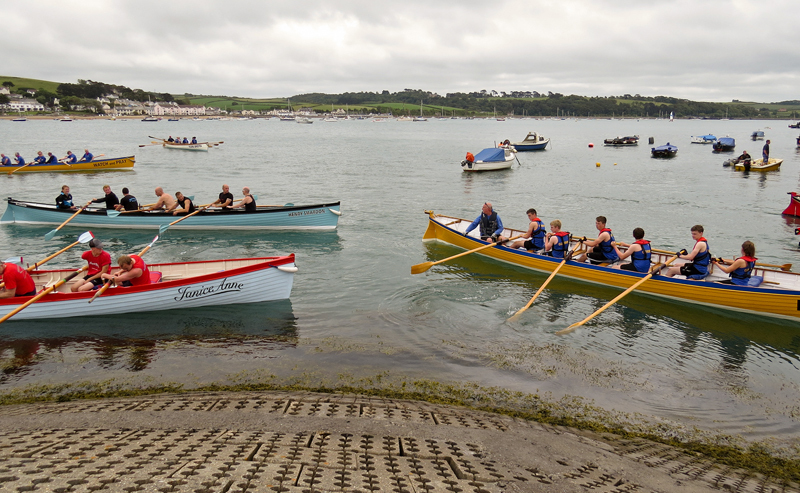 Cheer on gig boat crews as they float along the Quay. You can also take part in crabbing and beach tug-of-war competitions with your family. Travelers with kids will also love to visit the nearby Big Sheep attraction. Don’t forget to learn a bit about the local history and visit the North Devon Maritime Museum that museum preserves and demonstrates Appledore’s maritime history with fascinating local tales and exhibits. 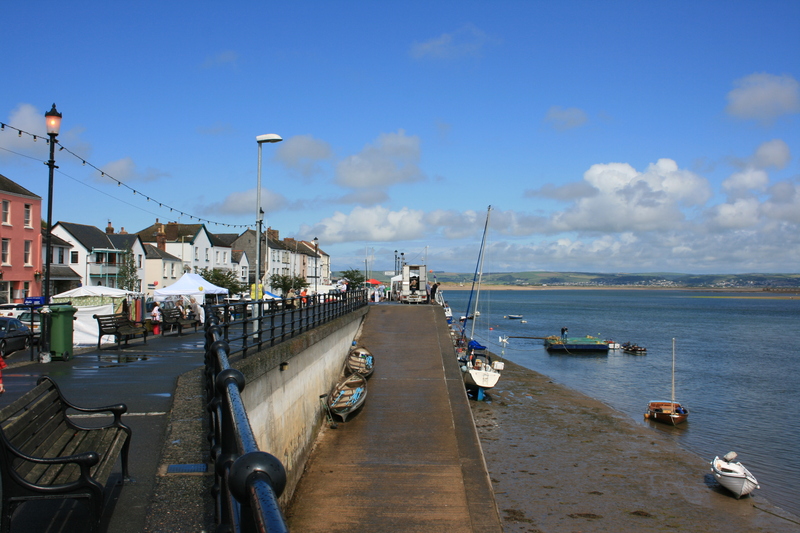 Appledore and its surroundings are also famous for their beautiful nature and spectacular scenery – take the Tarka Trail for a lovely walk along the spectacular South West Coast and make sure to visit the Braunton Burrows. This UNESCO Biosphere Reserve features long sandy beaches which make it a great destination for summer. Indulge in kitesurfing, water surfing, and other water sports along the firm sands. Existing in the heart of the English Riviera, Cockington is a secret valley where time seems to have stood still. This small village promises to offer the real quintessentially English experience while you roam around its narrow lanes and thatched houses. Every corner of the village oozes with history and natural beauty – there are a forge, a water mill and a cricket pitch that was once a medieval deer park. First of all, walk around the streets of the village and enjoy the authentic old-English atmosphere and architecture. 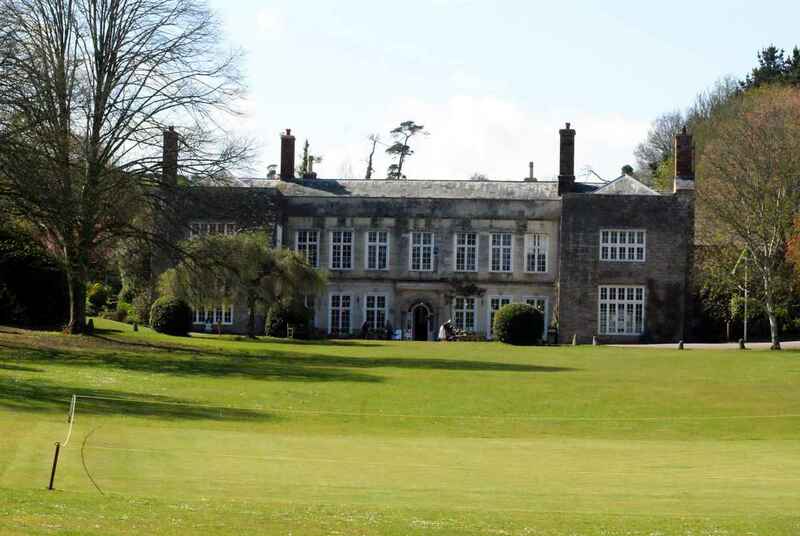 You should also head for the Cockington Court – a country park surrounding this 16th-century manor house. You can enjoy an idyllic stroll around the beautiful Normal church, lakes, Gamekeepers Cottage, the arboretum and the renovated water mill. Ride the traditional horse-drawn carriage! Cockington Court holds a calendar of year-round events including food and craft markets, Cockington Apple Day, open-air theatre, Cockington Fayre, Christmas Fayre and art exhibitions. The Ark Play area is popular among children, so you can make sure that your kids are also enjoying and having fun. 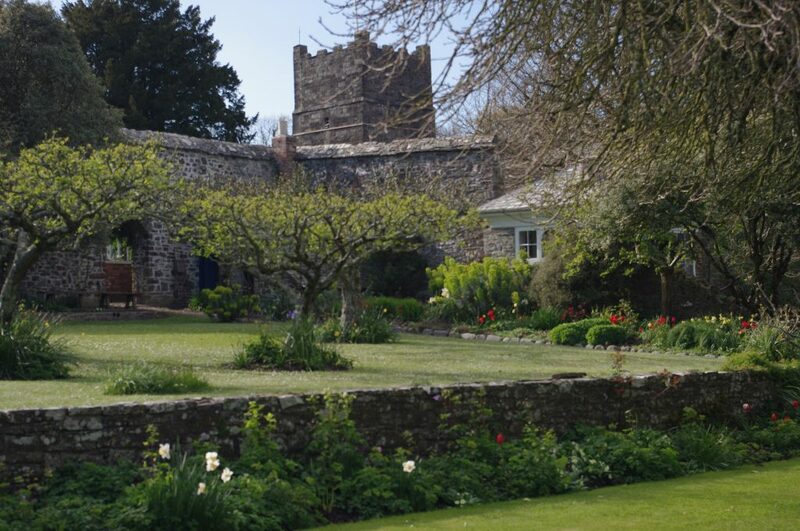 No need for the time machine – just travel to Cockington! by bus, train or car via the new South Devon highway for a trouble-free journey. Torquay train station is a 20-minutes walk through the watermeadows and boardwalk. Number 12 bus runs every 10 minutes whole day, and for car parking, you’ll get three choices. Of course, taxis are readily available for Cockington. Surrounded by eye-pleasing rivers and woodlands, Totnes is an enthralling travel hub with enticing character, history, and color. The history of Totnes dates back to AD 907 and the place established itself as an important market town by the 12th century. Dead-drop gorgeous rolling hills, a wide tidal river, and a stunning 15th-century sandstone church make this place so, so pretty. 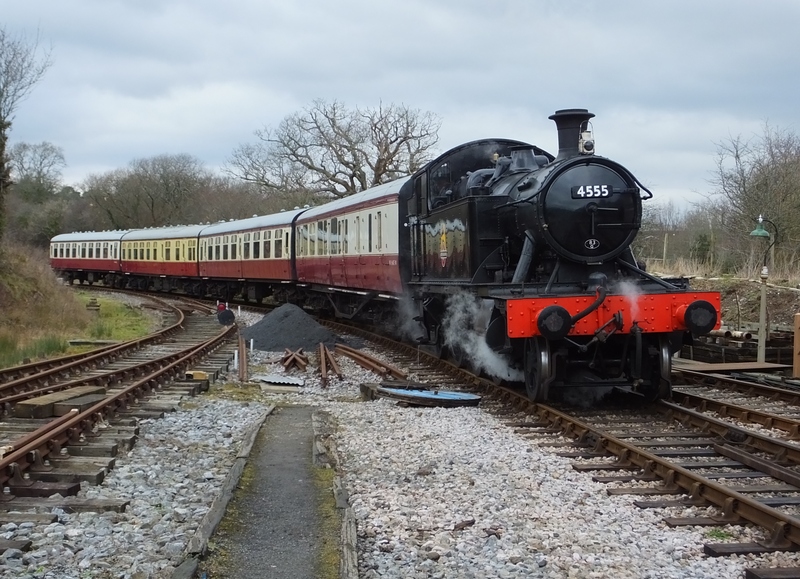 Travel to Buckfastleigh in the steam train while hearing the merry ‘Poop Poop’ on it chuffing. It would be a lifetime experience! If the new age crystal shops and claptrap are not your stuff, Totnes’ artsy and hippie vibe is your destination for an alternative lifestyle. There are scores of stalls that sell everything from furniture to vintage threads, each Friday and Saturday, and an Elizabeth market on Tuesday. Dartmouth is one of the finest and most unique towns in Devon. It is popular for its interesting and picturesque geography. 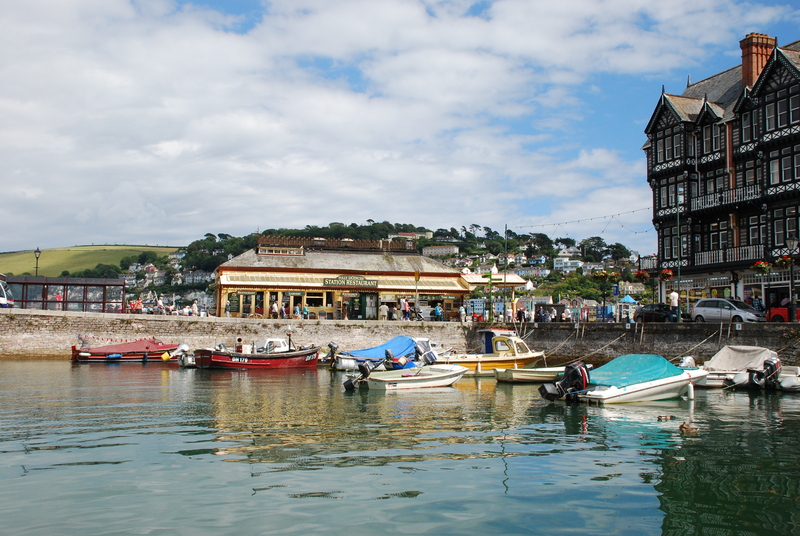 Set on the western bank of the Dart River, the town boasts outstanding beauty. Dartmoor National Park and South West Coast path is just a few miles away from Dartmouth. The busy yet peaceful harbor offers a great time watching boasts from cafes and restaurants. Dartmouth Castle and Museum offer the true glimpse of town’s fascinating and unique history. The house at Coleton Fishacre will transport to the 1920s era. 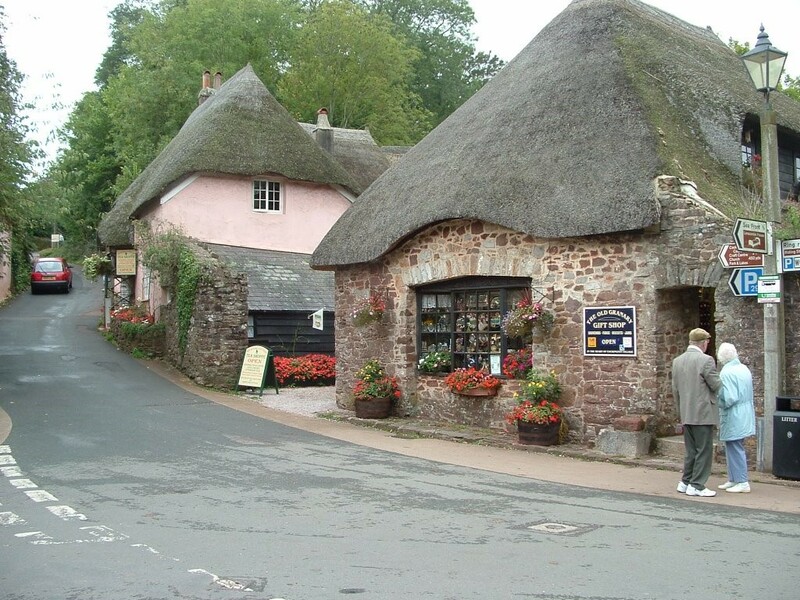 So, pack your bags and be ready to explore the beautiful and unique towns and villages of Devon like a local.